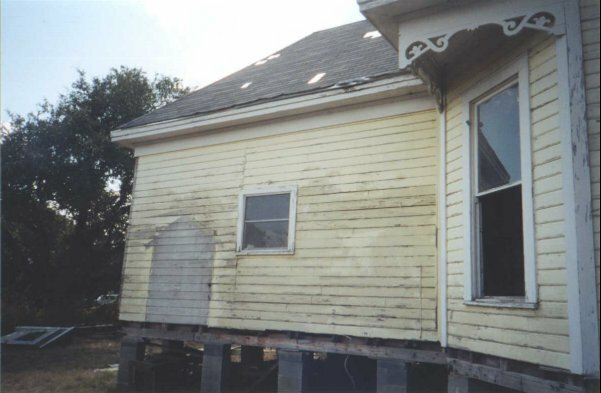 This is a side shot of the left rear of the house. I'd like to know what the unpainted outline on the wall was for. It resembles a smaller house type of a structure.